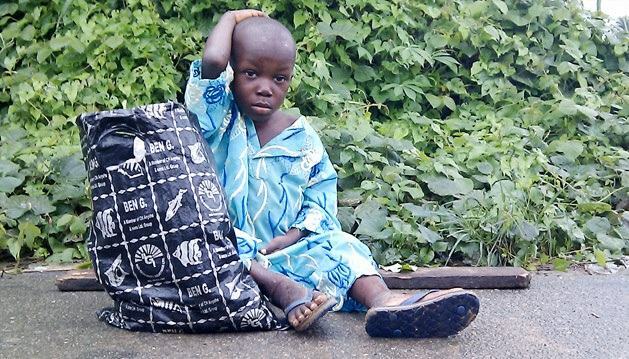 No fewer than 49 abandoned and lost children were rescued across Lagos State between January and April, 2016, just as 323 beggars, destitute and mentally challenged persons were also taken off the streets in the months under review. This was contained in a publication made available by the state government on the activities of the Governor Akinwunmi Ambode led administration on Youth and Social Development. The statistics, according to the state government, represent the activities of the Ministry of Youth and Social Development between January and April 14, this year. According to the document released by the state government, “35 lost but found children were given suitable placement in appropriate orphanage homes across the state. “10 abandoned babies were rescued and given suitable placement and adequate protection within the period under review. “Four special children were rescued and given placement in appropriate homes for care and protection in the state. “Twenty-two children were screened on television for public response while four were released to their parents and guardians after necessary verification. However, 17 children were approved for adoption by the family court. This consists of 14 local adoptions and three international adoptions, according to the document. It will be recalled that the state government had between October, 2015 and first week of January, rescued 531 beggars, destitute and mentally challenged persons from the streets. The government within the period under review also rescued 323 beggars, destitute and mentally challenged persons from the streets of Lagos. It was noted that the 531 rescued beggars, destitute and mentally challenged persons have been rehabilitated at the Rehabilitation and Training Centre, Majidun axis of the state. Also, the document stated that 353 beggars, destitute and mentally challenged persons rescued earlier were released to their relatives for onward re-integration into the society, Vanguard reports.